Designed for Business. Engineered for the Workgroup. The Brother Workhorse Series reflects the very core of Brother – and our commitment to the success of our business customers. Durability. Strength. Quality. Security. Productivity. Ready to work, anytime, all the time. 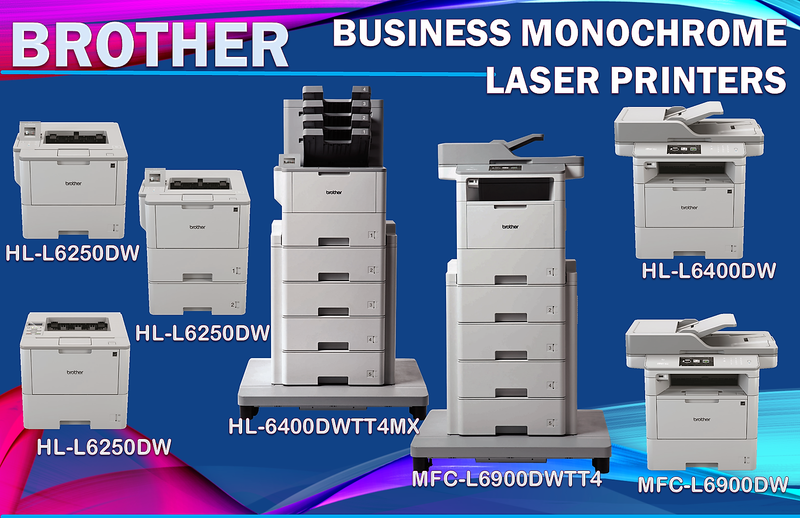 Designed from our reputation of reliability, these powerful printers and All-in-Ones help optimize your workflow, enhance your business productivity, and improve your bottom line. Brother is committed to your success through our products and support. Innovations for workgroups with higher print volumes. Innovations and technology for workgroups with higher print volumes. Ideal for the most demanding environments thanks to a robust design, high duty cycle and scalable paper handling. Brother printers can help keep your devices secure and data confidential. 1. Requires additional purchase. 2. Approximate yield in accordance with ISO/IEC 19752 (Letter/A4). 3. The mobile device must have NFC capability and run Android OS 4.0 or later. 4. Scan speed measured with all advanced features turned off using LTR size test documents at 300dpi. 1. Requires additional purchase. 2. Approximate yield in accordance with ISO/IEC 19752 (Letter/A4). 3. The mobile device must have NFC capability and run Android OS 4.0 or later.